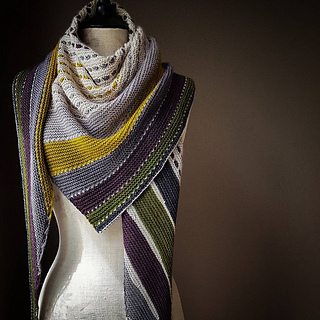 Are you searching the souk for treasures? 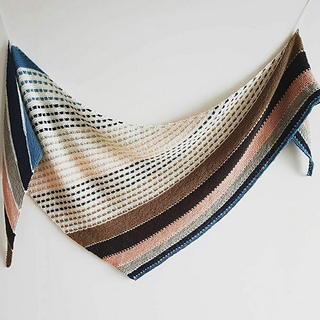 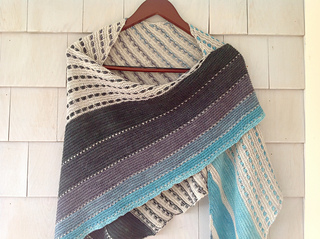 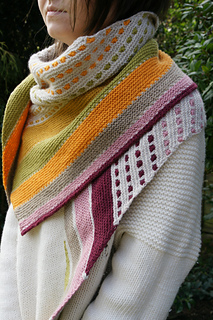 You’ll find one in On the Spice Market, an asymmetrical triangle shawl featuring a zesty mixture of textures, slipped stitches, and short rows. 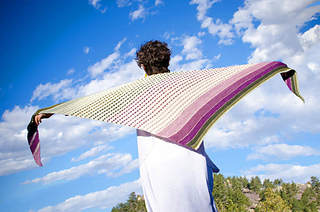 The garter stitch stripes and contrast slipped stitch rows are perfect for showcasing a gradient of colors, like this kit of Yummy 2-Ply Toes by Miss Babs.